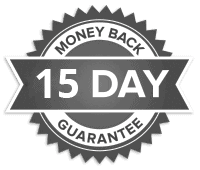 Don’t approve the work, 100% money-back for your first 15 days. If we you believe the work completed does not meet your needs and is not approved or used, we’ll provide you a 100% refund within your first 15 days. If we can’t do it you have every right to ask for a full on-the-spot, 100% refund. How would your service benefit me? We’re a team of WordPress geeks and we help solve massive amount of problems every day. If your WordPress site is experiencing any problems or even things that you aren’t even sure about – simply shoot us an email and we will see what we can do for you. We offer a flat rate service from just $149 for unlimited support and small tasks each month. This will allow you to focus on your business and a peace of mind. Our team will be on standby and complete your request (usually within 12 hours), Monday to Friday, during business hours. If by any chance the task is urgent, we will be go beyond that and work on it over the weekend as well. What’s usually the turn around time for each task? Most tasks would be completed within 12 hours (if not, 24 hours max). If you request a task over the weekend, it will be handled first thing on Monday morning unless you deem it to be very urgent. Can you please define what you mean by ‘small jobs’. I am not sure if mine is one. We define small jobs that can usually be accomplished within 30 mins (see plans). If you’re sure, feel free to sign up and we will try to finish it. If not, you can request for a full refund. Do you support more than 1 site? Each subscription plan is attached to 1 domain only. If you have 2 sites, you are welcome to sign up twice. I have a network of sites, do you offer discount? If you have more than 5 sites with us, we can work out discounted rates. Please email us with your domains and further information. What do I have to provide you to work on my site? We would require full access to your site. This normally includes FTP and Cpanel credentials. My site is hacked! can you help? Absolutely. We will do our best to recover and secure your site. If you’re on our standard or professional plan, we will even work around the clock with no additional charges to fix the site. This is part of our security guarantee on standard and professional plans (not available on lite plan). Do I have to commit to a contract with your service? No. There is no contract to sign, setup fees or cancellation fees. Our monthly/annually service is billed using recurring subscription. Do you only work with WordPress sites? That would be ‘Yes’, in most cases. Unless you have a site on another platform (such as wix or blogger) and wanted help to migrate it to WordPress. Unlimited small tasks? Do you really mean it? Absolutely. We will be happy to handle all small fixes and tasks for you, that can be completed within 30 mins (see plans). Anything beyond that would consider would be consider a complex task and outside of scope. For larger tasks, we recommend seeking for a professional WP developer instead. I have a long list of small tasks here and there. can you help? Absolutely. That’s what we are here for! Simply send us an email with the task you need done (1 at a time), and our team will handle it promptly. Where is StableWP located? I am worried about security. We are located in a beautiful city known as Toronto, Canada. Our business hours is in EST zone (UTC -5:00). However, we actively monitor all incoming tasks to ensure urgent requests would be handled promptly. We are flexible. You can pay us using Paypal, or credit card (through Paypal gateway) including Visa, Mastercard, Amercian Express & Discover Card. Simply decided which plan suit you best and get started. You will be charged for the plan you selected and auto-renewed on your desire billing cycle (monthly or annually). What’s the difference between month-to-month and annually subscriptions? For month-to-month subscriptions, you will be charged per month basis. For annual subscriptions, you will be offered a discounted rate and will be prepaying for 12 consecutive months from the start. What if I want to change plans or cancel along the way? No problem! We understand that your business needs may change and we are here to provide flexibility to change your plans anytime, whether if you want to upgrade, downgrade or even cancel. Simply shoot us an email and we will provide further instructions accordingly. I am ready to sign up, but just a few more questions! No problem. Feel free to send us an email or through our contact form. We would be more than happy to have all your questions answered!